Serving Tray for Horlacher’s. 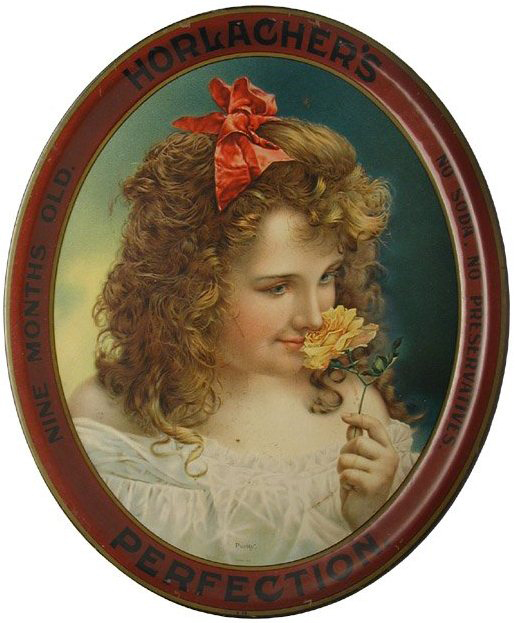 The central figure is a beautiful young girl smelling a flower. The text around the border states Nine Months Old. No Soda. No Preservatives. Perfection. The artistry evident in the portrait is amazing with the detail in the hair, flower, and skin of the girl. This tray is a stunner when displayed.